"Supply the body with new substances and to liberate it from waste to the last corner. The body can usually dispose of the waste that is produced on a daily basis via its excretory mechanisms. However, our sedentary lifestyle, convenience food, food additives, stimulants, medicines and environmental toxins are increasingly overloading the body's disposal mechanisms so much that the waste is stored in the tissue rather than excreted." The body has a whole range of ways to get rid of unwanted substances. The main task is carried out by the detoxification organs of the body. These are mainly responsible for freeing the body of unwanted substances or to filter them from the blood. First of all, during detoxification, the activity of these organs is stimulated. Purification therefore has nothing to do with slimming, but can support this project. The liver processes fat-soluble substances (for example, many drug residues). These are then transported into the intestine and excreted with the stool mass. The intestine itself is also a detoxifying organ, because in the intestine everything that gets into our body with food is checked, filtered and the unusable remainder excreted. The kidneys filter the water-soluble waste (uric acid, for example) out of the blood and release it with urine from the body. There are other, less known detoxification organs. The lymphatic system for example: it collects bacteria, bacterial toxins, dead cells, etc. from the intercellular fluid and brings them to the lymph nodes, where the slags are destroyed. In addition to the lymphatic system, a healthy microcirculation of the blood is indispensable for optimal cell metabolism. The skin is another important detoxification organ. In alternative therapy, the skin is often referred to as a third kidney. Not all detox programs are effective and healthy. One-sided nutritional recommendations are not recommended, good detox programs support as many detoxification organs as possible. As an introduction, for example, a fasting week is suitable. Fasting with fruit and vegetable juices provides the body with all the important nutrients while relieving the metabolism. This allows it to dissolve more slag deposits and the body is rid of unnecessary ballast. In order to increase the effect of a successful fasting week, it is advisable to have a juice day every week. In addition, the support of the detoxification organs can be continued for three to four weeks (see below). A diet rich in vegetables, fruits and whole foods completes the effort for a healthy metabolism. The most important step is the stimulation of the detoxification organs, which take over the excretion of waste products and excess acids. The second stage is the nutrition and the third stage completes the detox with additional measures such as exercise, Kneipp or meditation. The detoxification organs can be stimulated very well with medicinal plants. A good mix of liver metabolism of stimulating plants can be found in Ayurvedic medicine. The mixture, which is available in Switzerland under the name LIV52, stimulates liver function, has liver-strengthening and protective properties. Goldenrod, stinging nettle, birch and field horsetail are used for the kidneys. The stinging nettle, for example, is one of the most traditional medicinal plants of all and has strong diuretic and cleansing effects. The positive effect on blood formation has long been known and appreciated. It can also be used as an alternative to spinach or salad. In order to support the function of the lymphatic system and to relieve possible blockages and blockades, an extract from the stork beak herb is a good choice. Already the universal scholar, Hildegard von Bingen and the Swiss physician and alchemist, Paracelsus, mentioned the stork beak as a medicinal plant. It is important to balance the purifying and acid-base balance. Acidification is considered a strong metabolic brake and hinders the elimination. Mixtures of basic mineral salts (as tablets or powders) provide valuable help to dissipate excess acids. Acid blocks are dissolved together with the Schüssler salts and the metabolism of stimulating medicinal plants. A good and at the same time relaxing supplement to the harmonization of the acid-base balance are basic baths. When purifying you should also pay attention to the diet. 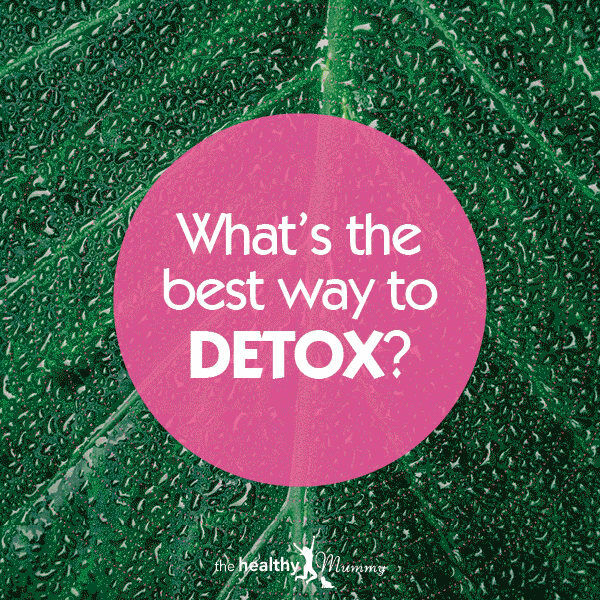 Because if you continue to burden the body with an unhealthy diet, even the most effective detoxification method will help only half as much. Basically, this means cooking and eating fresh and seasonal, and reducing the consumption of animal protein, white flour, sugar, alcohol and caffeine. In addition to a balanced diet, one should pay attention to a sufficient amount of drinking. Two to three liters of still water or unsweetened herbal tea serve the body as an important solution and transport for the waste products and acids. A metabolic tea as part of the daily hydration is a very good alternative to other herbal teas and strengthens the cure effect. At least three weeks, better four to six weeks detoxify. Include all detoxification organs (liver, bile, kidneys, bladder, intestine, lymphatic system, skin) in the detoxification treatment and activate. For this purpose, medicinal plants in various forms, Schüsslersalze (Schüssler's Salt) and basic mineral salts are. Base baths can complement the internal therapy meaningfully. Balanced, fresh and seasonal diet with lots of fruits and vegetables. If necessary, supplement the daily food with selected superfoods (eg chlorella, barley grass, acai berries). Reduce consumption of coffee, alcohol, nicotine, white flour and sugar. Drink a lot: Two to three liters of still water, metabolic tea, diluted vegetable juices. Lots of exercise to stimulate microcirculation, improve detoxification and oxygenation, and promote mental health. Correct Base Bathing is especially suitable for people with skin problems (atopic dermatitis, bad connective tissue, etc.) as a complementary measure for internal therapy. Allow enough time. With preparation and subsequent rest you need about two hours. Bathe in body-warm water (35-38 C). The bath duration is at least 30 minutes, better one hour or longer, because the de-acidification through the skin is slow to get going and becomes more effective with increasing bath time. Rub off the skin every 15 minutes, for example with an exfoliating glove or washcloth. Do not shower off the skin after the bath. Allow the bath water to dry on the skin or dab, do not rub. Wait at least one hour after applying bath products after bathing. For the care of the skin after a Base bathing are suitable products, which do not affect the skin's metabolism. Pure natural cosmetics are exactly what it's worth. If you like, treat your skin to a pampering body oil. Those who prefer a classic body lotion, choose a product that supports skin regeneration, for example, with mineral salts or plant extracts. After the bath take a rest. Recommendation: One to three base baths per week, or one base bath and two to three basic foot baths. Overall, during three to six weeks. This recommendation applies to people who want to detox intensively. If you do not like full baths and simply want to support your detoxification treatment, you can only make basic foot baths and slowly reduce the frequency from three to one foot bath per week. A weekly alkaline full or foot bath can also be used over a longer period as a "maintenance therapy." Read next: Are You Grounded? CosCom Writers is a publishing firm. We are professional writers focused on both writing for money as a freelancer and for the simple reason to disseminate information.